As we pass the half way point of Spring, it is safe to say that the ski and snowboard season has come to an end. Even for those lucky enough to catch a few spring weekend day runs at Snowbird or Alta here in Utah’s Little Cottonwood Canyon, it is now time to say good bye put away the gear for the summer. 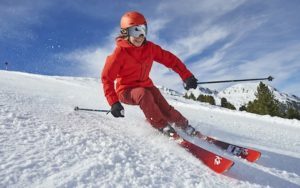 There is one last step before you pack your shell jacket, ski pants, helmet and googles, and that is properly cleaning the waterproof material to make sure it is ready to go next winter. 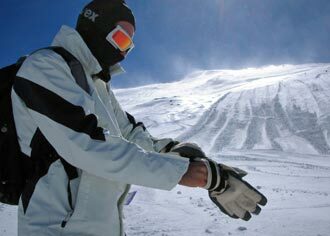 Washing your ski or snowboard clothing takes extra attention and the proper supplies. If you have invested in good quality waterproof clothing, you want to take care of these items so that they last for seasons to come. Waterproof pants and jackets are usually made of a lightweight nylon material and treated with special polymers that help water bead up and slide off. ​Improper care can result in breaking down this waterproofing material, which can leave you with a nice-looking jacket but it won’t keep you dry and warm. Some people will tell you to never wash these fabrics but if you are an active outdoors-person, you will start to notice that airing your laundry doesn’t always get rid of the smell. Too much neglect and that nice Gor-Tex may start smelling like your old gym bag. Care required for snow clothes may take a little longer or involve a different type of laundry soap, but it is worth it. If you clean up and properly store your skis, board and boots; your jacket and pants will appreciate the extra love as well. We have provided a few tips to make your end-of-season gear cleaning a little easier. Inspect for mud, dirt or debris: look over the outside of your garments and brush or wipe off any built-up mud or dirt. Too much debris can damage your garment in the washing machine while on spin cycle or possibly clog the drain pipe. Mind the zippers and flaps: Close and Velcro flaps, pockets or zippers that may be open. You don’t want them whipping around damaging the garment material. Limit your load size: do not wash your snow clothes with any other types or clothing or fabrics. Also, wash only two items at a time. If you have a small washing machine, maybe in a dorm, take the extra time to wash them individually. Hang dry or tumble on low: Again, review the manufactures recommended care, lots of items are safe if dried on a low temperature. If in doubt or unsure, place them on a hanger and go the slow route to be safe. Special detergent only: Make sure your machine is free of any standard detergent, bleach or fabric softener you may use on a daily basis. You can even run an empty load with hot water to make sure it clean and ready. There are a couple companies that make special gear wash designed just for waterproof gear. And remember, even these formulas will eventually impact the waterproofing, so only wash sparingly. Most companies recommend no more than 5-8 washes.